Promotion: BUY 2 GET USD40 OFF! 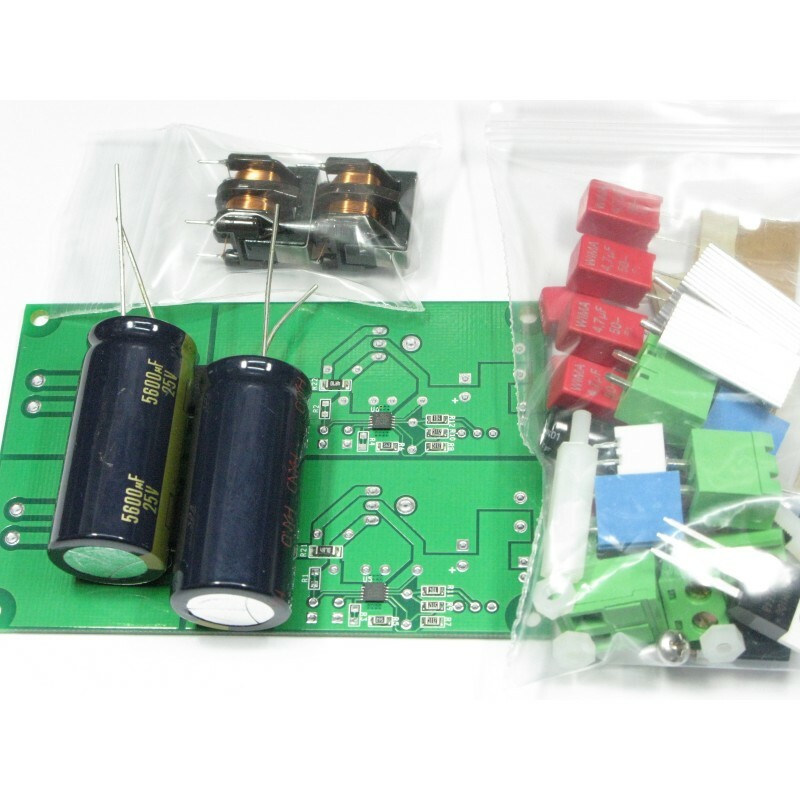 This regulator PCB equiped with high quality hybrid choke coil and CRC input filter to remove the common mode noise and differential mode noise from the input and provide the best sound result from time to time. 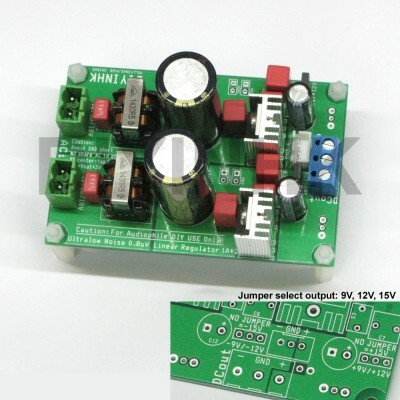 2) +-9V/12V/15V 1.5A* output switchable with a jumper easily. Please notes 1.5A is the burst value, please read the bottom notes for output usage larger than 0.5A continuously. 4)The PCB follows the official demo circuit for ultimate performance. 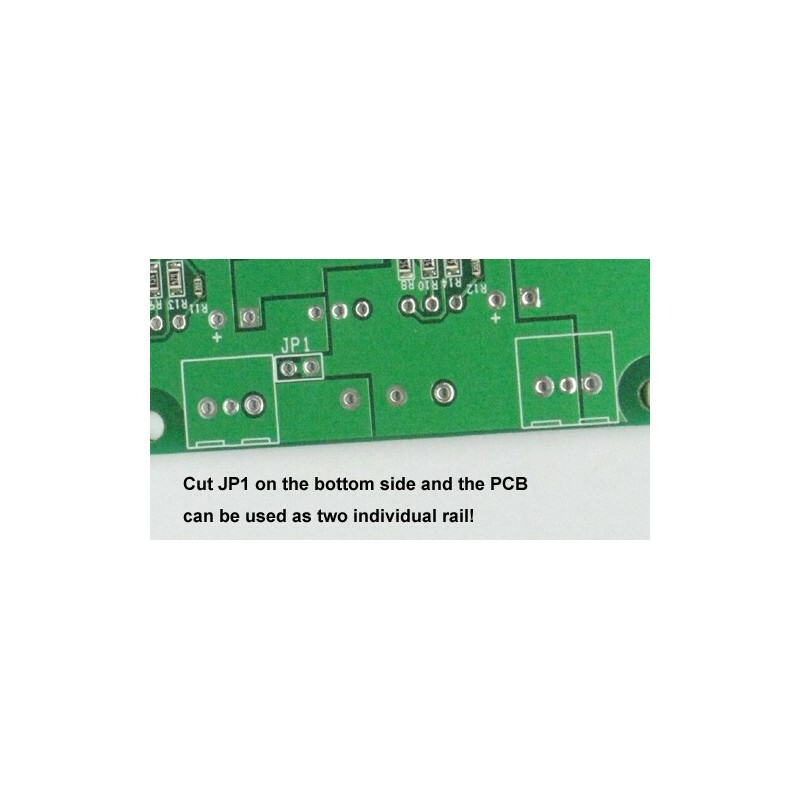 2) Cut JP1 on the bottom side and the PCB can be use as two individual rail. 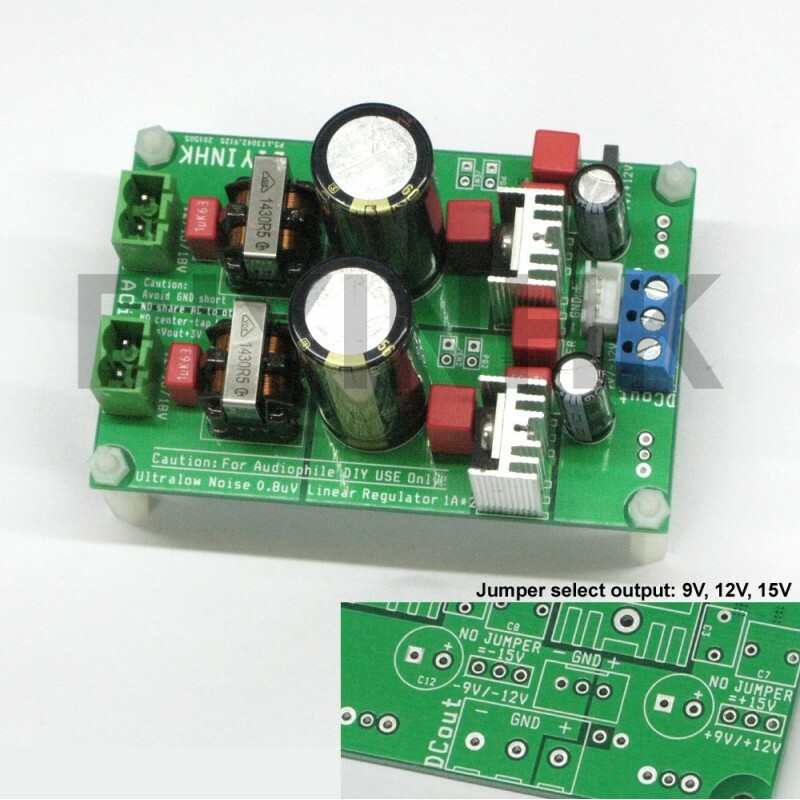 2) Don't remove the voltage switch jumper when the pcb is using. The output voltage will jump to maximum 15V. For linear regulator, all unused voltage is converted to heat, if the PCB is used for output larger than 0.5A current continuously, depends on the room temperture, larger heatsink and fan is needed. The same usage method is applied to all linear regulator in the market. The operating temperature should always keep below the rated maximum operating temperature as listed in the manufacturer official datasheet. The murata EMI filter used in the PCB is rated 0.5A at 60degrees celsius from the manufacturer. As most modern DAC uses less than 0.5A per rail, we choose the highest inductance in the series. The filter can actually deliver larger than 0.5A if it can keep below 60degree. The PCB can also delivery larger than 1A if the temperature can keep low. The theoretical maximum is calculated from the current boost transistor combined with the 4.7ohm base emitter resistor, it can burst upto 15A output current! As the PCB can actually output higher than 1A, the first overheat component will be the input choke, the second is the full bridge diode rectifier. The transistor is rated at maximum 15A, the LT3042 has internal current limit and overheat protection will survive.